Many of us in the soil health movement in agriculture like to think of ourselves as regenerative businesses. But a regenerative mindset isn’t only about land, animals, and plants. Building a regenerative business means including ourselves. Weaning yourself off extractive labor (long hours, degrading health). Leave yourself more energy than you take. Prioritizing full recovery and rest for yourself, instead of continuous stress. Know that it will pay off in long term productivity. Invest in your carrying capacity by developing personal skills and expertise. Deepen your roots. Know your “why” and let it keep you grounded through changes. Fertilize the relationships in your “people food web”. Expand your networks to exchange knowledge and support. Build secondary pathways to nurture others beyond your immediate goals. Creates far more value outside the ecosystem than it captures for itself. Puts out positive energy into surrounding community. Promotes a vibrant, diverse ecosystem. The goal is to help the entire ecosystem thrive and grow to the next level. It is not a single-company land grab or a monoculture. Accelerates the growth of other life in the system. It does not try to squash new life, or different players. Embraces change and transformation as part of the natural life cycle. A company may thrive perennially, re-seed in unexpected ways, or get composted into a new form altogether. Invests in processes that turn sh*t into gold. Holistic Management International, Savory Institute, Ranching for Profit, Stockman Grass Farmer, On Pasture, Point Blue Conservation Science, Grassfed Exchange, Quivira Coalition, American Grassfed Association, The Herd, and others. We support many of these groups every year, and I’m proudly volunteering as Co-Chair of the Grassfed Exchange 2019 conference planning committee. FarmOS, Savory Land2Market, Soil Carbon Coalition, Yale UCross Center, Vence, Agersens, HerdDogg, Maia Grazing, LandStream, TerrAvion are all moving the industry forward. I’m glad that they are part of the movement. I would love to see 50 more regenerative tech companies join our space. We take an abundance mindset, not a fear-based mindset, to other companies driving innovation in our space. We are in the second year of speaking on the Annual State of Regenerative Tech at conferences to promote other players in the ecosystem. Accelerate the next generation of regenerative farmers and ranchers. Our new podcast collaboration, Regeneration Rising, spotlights next generation regenerative business leaders. 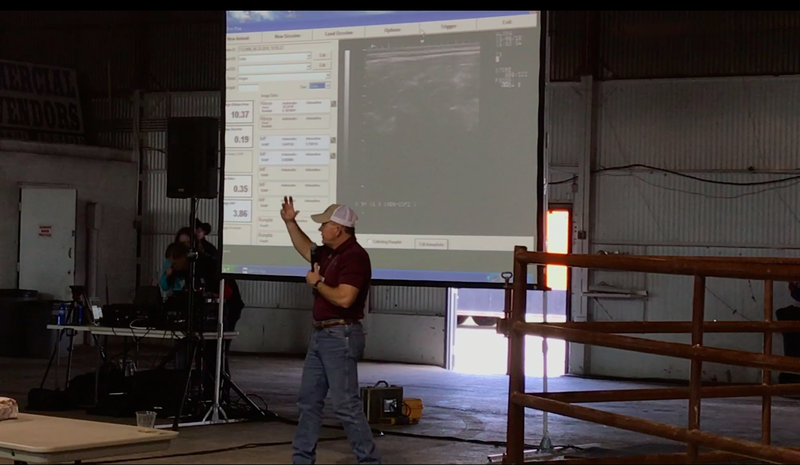 Our goal is 50% next generation farmers and ranchers on the main stage. Promote intellectual diversity by cultivating it ourselves. We have intentionally built a team that is inter-generational, 50% women, 50% people of color. 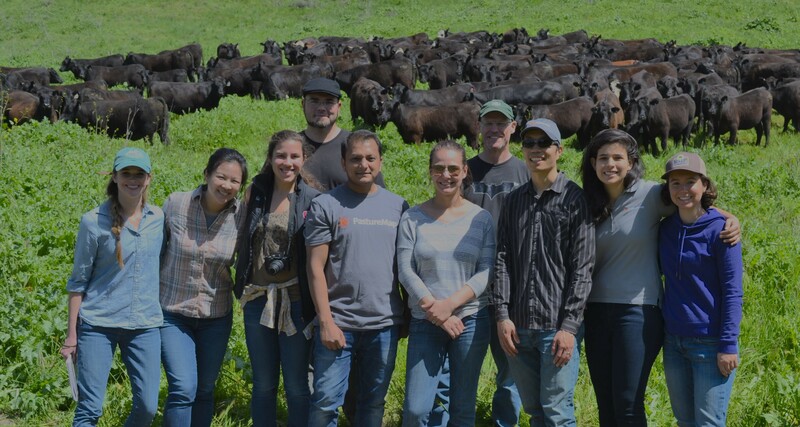 Our backgrounds are interdisciplinary: from small farms to $250 million land companies, from startups to Fortune 100s, from holistic management to feedlot production and genetics, from manufacturing to internet architecture, from wildlife and plant biology to sustainable development. Our intellectual polyculture is our greatest strength. It helps us tackle problems from many angles, and it raises our collective intelligence. Hiring people who embrace failure. We do rapid experiments. We celebrate and learn from our messes. We roll up our sleeves and get dirty. I will be sharing more of my own mistakes in the journey of building an ag tech startup. The future belongs to an ecosystem of Regenerative Businesses. In tech, the system isn’t set up to reward Regenerative Business. VC investors reward tech companies who make digital “land grabs”. They aim for winner-take-all monopolies. They essentially farm users for behavioral data. The ways to monetize this data range from uninspiring (advertising) to blatantly unethical (addiction). We know the not-quite-rightness of this work. We know what happens when power and influence gets concentrated in fewer hands. We are in the beginning wave of moving to a new equilibrium. Companies create big data from users. People should have democratized power in how that data gets used. The benefits of technology should open to many, not gated by the few. Companies should aspire to far loftier goals than profit, creating multiple, purposeful streams of value. The bottom line is just that – the minimum baseline, but not the raison d’etre. Successful businesses will be connected, open, and sharing. Our goal is not sustainability of the status quo. Sustainability of the status quo is a flatline. Our goal is to build a thriving ecosystem and an abundant future better than we ever could have imagined.